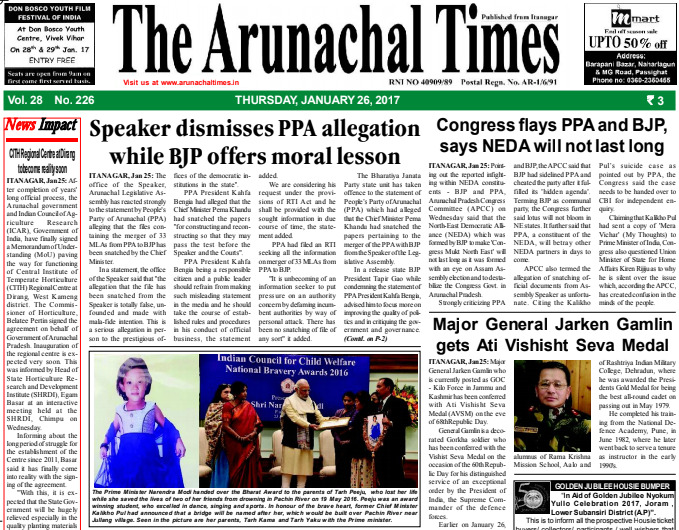 The Arunachal Times is a broadsheet English- language daily newspaper. With a circulation of over 40,000 copies, its readership in the English-speaking area of Arunachal Pradesh is wide. A favourite of the local people because of the rich quality of its news and content, it is an excellent advertising medium that reaches the most people every day. It is, thus, ideal for promoting goods, services and events to the locals..